You're pointed the wrong way Snowy! The camera is more to your left and higher. PS: Follow Ziggy and Snowy on FB! Snowy! You should have a bow in that little tuft between your ears! 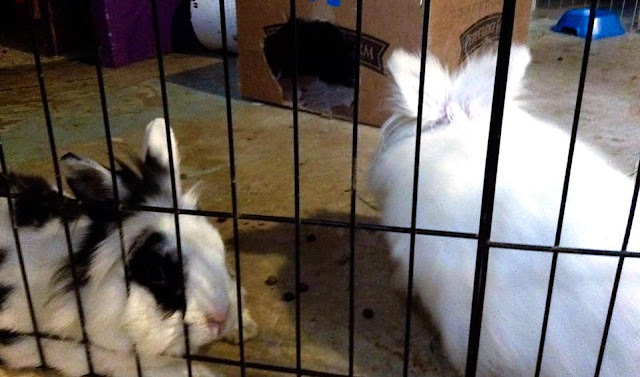 Bunnies get to choose their angle. I can't believe their home isn't equipped with multi-directional boom driven all sorts of fancy stuff. And, believe me, there is more going on here than meets the eye. Snowy, whatever your hoomin did to inspire the tail-treatment is now digitally immortalized...demand some SUTTR!